María Pérez Oquendo writes that her mother-in-law, Escolastica Mercado, was a Cadet Nurse. She went to nursing school at the Hospital Santo Asilo de Damas in Ponce, Puerto Rico. 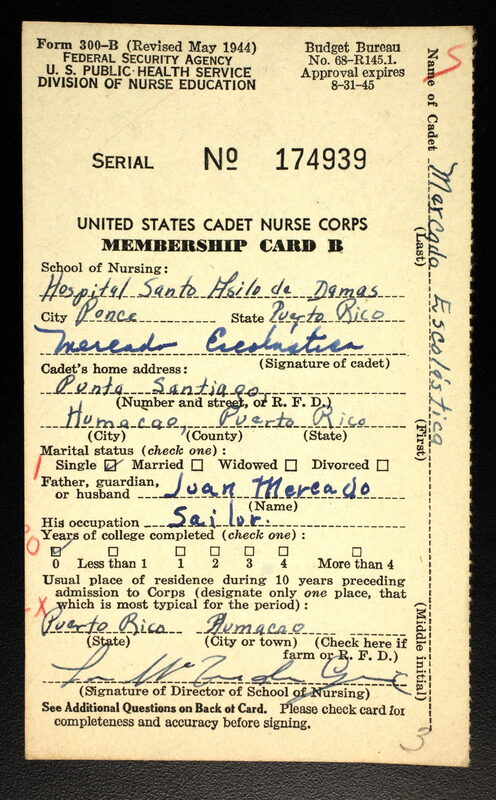 Santo Asilo de Damas was one of seven nursing schools in Puerto Rico that participated in the U.S. Cadet Nurse Corps.